This Selected Works of Charles Dickens homeschool language arts course examines five classic Charles Dickens works as well as a biography of the author. 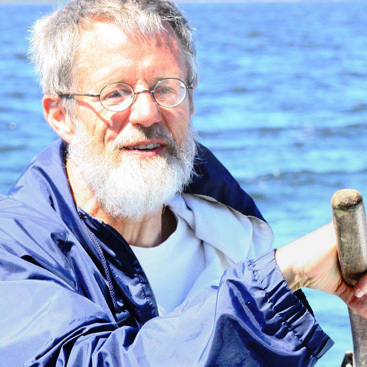 Taught by Dr. Steven Hake, the Chair of the Department of Classical Liberal Arts and Director of the Literature major at Patrick Henry College in Purcellville, Virginia, this advanced homeschool literature course studies the motivations of author Charles Dickens, his development as an author, and the themes of several of his major works. There are discussion questions in the form of weekly written assignments for the homeschool high school student to complete, along with one-page journal entries and a ten-page final paper. 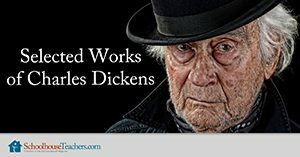 Eighteen weekly Selected Works of Charles Dickens homeschool language arts lessons are designed as an in-depth literature course for homeschool high school juniors and seniors. 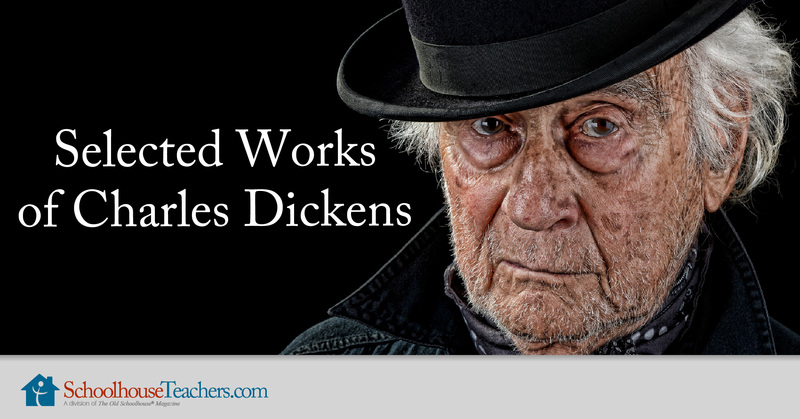 This advanced homeschool literature course studies the motivations of author Charles Dickens, his development as an author, and the themes of several of his major works. There are discussion questions in the form of weekly written assignments for the homeschool high school student to complete, along with one-page journal entries and a ten-page final paper. The Selected Works of Charles Dickens homeschool language arts course explores the Charles Dickens’ classics Oliver Twist, Christmas Carol, Cricket on the Hearth, The Bottle of Life, The Haunted Man, David Copperfield, Bleak House, and Great Expectations, as well as the biography Charles Dickens: His Tragedy and Triumph by Edgar Johnson. Among other topics, the course will explore the role faith did (or did not) play in the life of Charles Dickens, the effects a single choice can have on a life, the use of symbolism and layered meaning, and the way Dickens used descriptions of places to tell us things about people. *Important note: students are required to read several works in this course as listed under the Course Outline tab. These books will need to be obtained from a local library prior to beginning the class. If this Selected Works of Charles Dickens homeschool language arts course is taken in full, completing all reading and writing assignments, the course is worth a minimum of 0.5 language arts credit. If the homeschool high school student explores the course in depth and spends approximately 180 hours thoroughly completing assignments (two hours per day for eighteen weeks or one hour per day for thirty-six weeks), it will count for 1.0 credit in language arts. Would you like to tell others about this Selected Works of Charles Dickens homeschool language arts course?